Growing hemp for biomass on 6% of agricultural land of the continental U.S. would satisfy all the energy needs of America. Hemp is number one biomass source in the world. It is capable to produce 10 tons of raw materials per 1 hectare during four months. Biomass can be modified into methane, methanol or gasoline at a cost comparable to oil. Hemp is a much more environmentally friendly substance. 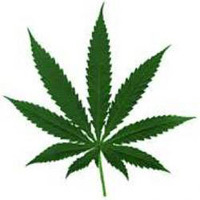 There are two methods of cannabis modification into fuel material: pyrolysis and biochemical composting. – As a fuel hemp burns cleanly. Petroleum causes acid rains due to sulfur pollution. High quality hemp oil is used in the production of dyes, paints and varnishes. Currently, all these substances are the subject of discussion not only in traditional medicine, but also in the food industry, which seeks ingredients suitable for a so-called \”functional foods\”. Essential fatty acids are very important for normal cells functioning and play an important role in reducing bad cholesterol and dental plaque, which is responsible for the atherosclerosis formation. Companies which focus on healthy nutrition began experimenting with cannabis as the basis for a wide range of products.